Tricked you, in the spirit of Halloween! Here at La Vita Dental Centre, we love having fun and living in Kits – one of the coolest neighbourhoods – we know you do too! Halloween is all about fun. Since we care about you, we want to make sure you are having safe fun because we don’t want to see you have a scare like that! 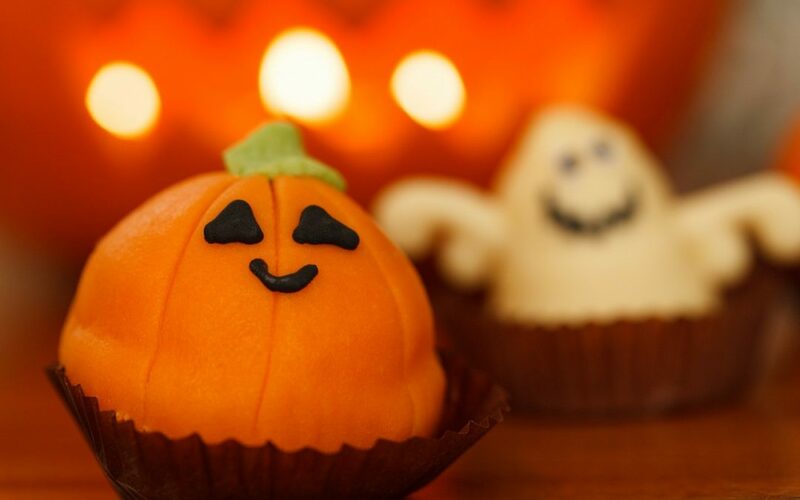 Halloween sets off the sweet tooth. It’s time to learn how to enjoy sugar responsibly. Holding sugar in their mouths is one of the fastest ways to those pesky cavities. Don’t let your mouth become a sugar shack! Brush, Floss, and Rinse. Then Do it Again. Following your normal hygiene routine is extremely important: Brushing x2. Brushing away that bacteria and extra sugar that cakes on your teeth from the tasty treats. You’ll probably be ingesting more of these treats than normal. Flossing will help to loosen any extra food. After having all that candy, drink some water. Water will help flush out some of that bacteria and sugar, leaving your mouth a little cleaner before the next brushing. As well, it will keep your body, including your mouth, hydrated, minimizing dry mouth. Chocolates tend to melt faster and leave less sugar in the mouth than rock-hard candies. As well, chocolate tends to have other ingredients that make it a little more on the nutritious side. But essentially, the more time sugar spends in the mouth, the more susceptible your mouth becomes to getting hurt by the cavity bug! Finally, regular visits to your La Vita dentist are important to keep your teeth in the best condition and catch any small problems before they become bigger. A dentist’s clean after a sugar festival is a great proactive idea. An aching tooth? SUCH a buzz kill. Call the best cosmetic dentists on West 4th; La Vita always answers. Let’s get your teeth super clean, back on the dental hygiene track and saying hello to Winter with the snowiest of smiles.